Have you ever wondered what it is Hole In One International actually does in order to get the event signage to your location? Today we’ve decided to take a few photos to show you! 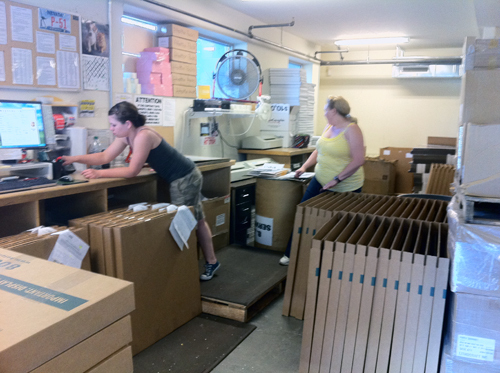 Shipping department hard at work! 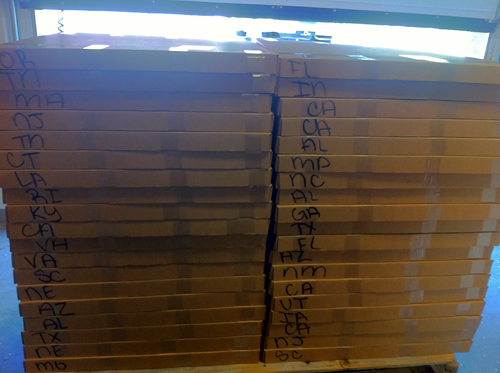 Today’s shipment of signs… and it’s not even May yet! 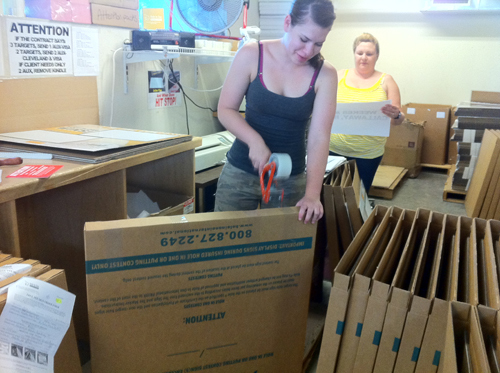 Want to learn more about our signage and/or shipping process? Give us a call at 800-827-2249 or email us! Fundraising Activities & ContestsFundraising Activities – pt 2. How Does Hole In One Insurance Work? How Much Does Hole-In-One Insurance Cost? How Does Putting Contest Insurance Work? How Much Does Putting Contest Insurance Cost? How Much Do Sponsor Signs Cost?